Nine full-time employees at Missouri S&T were honored Wednesday, May 30, for their contributions to the campus during Missouri S&T Staff Recognition Day ceremonies. Each winner received a certificate and plaque during the award ceremonies, which began at 9 a.m. in the St. Pat’s Ballroom of the Havener Center. The winners were selected from a group of staff members who were nominated by faculty, staff and students. Winners are selected on the basis of their job performance, relationship with associates and dedication to Missouri S&T. In addition to the Staff Excellence Awards, Staff Council presented the Jan Buhlinger Spirit Award to John Cook, student recruitment specialist in admissions. The award is named for the late Jan Buhlinger, a former Missouri S&T staff member and member of Staff Council. 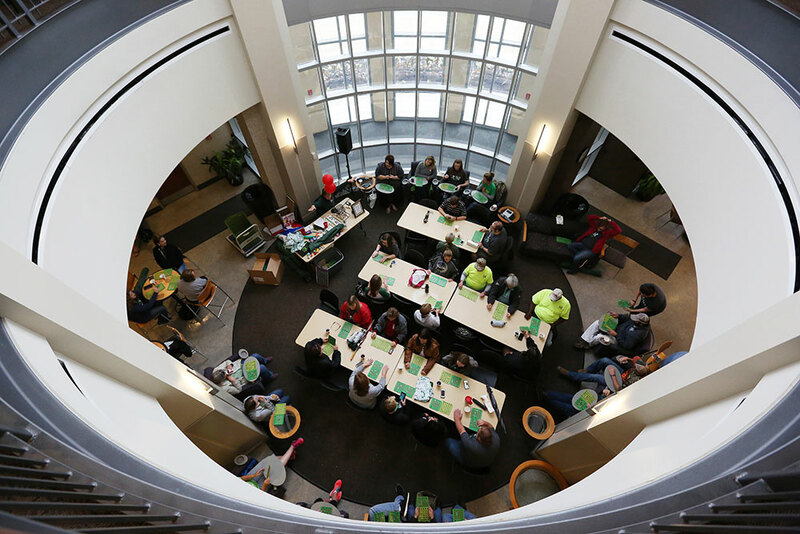 Recipients are selected by Staff Council based on their Missouri S&T spirit. Great support staff makes for a great University. So nice to see these members get recognized for their contributions! I wish to thank every one in the campus community who nominated me for this prestigious award. I am truly honored as I know there are many excellent staff members on campus who are deserving of this recognition. A special thanks to those campus members I have had the opportunity to work with across campus and assisted in special events or activities for the university. Thank you for the nomination and award recognition!